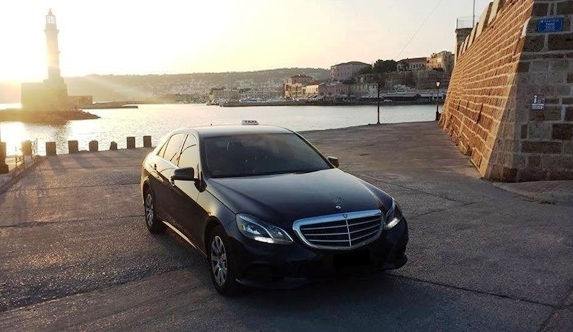 Crete Taxis & Transfers - Giannis and Dimitris Bertakis have written to tell us about their taxi transfer service in Crete. 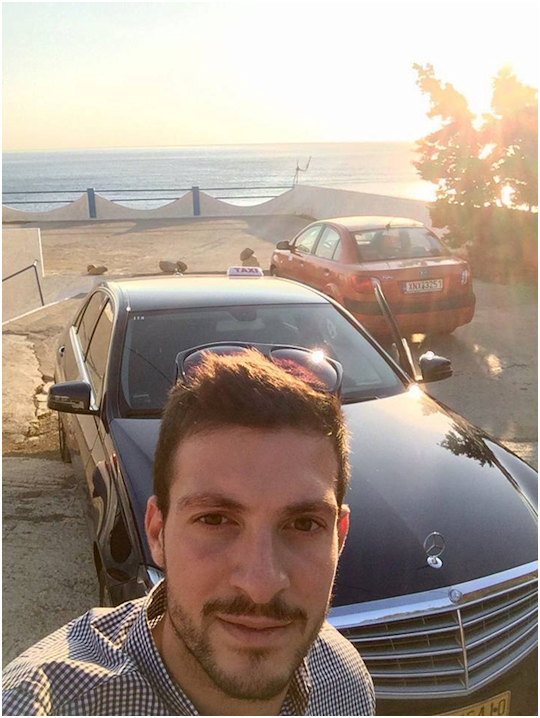 Gianni says "Travelling with us means that you will arrive relaxed and on time whether you travel from Chania to Lasithi or vice versa. Our modern vehicles are kept immaculately clean for your added comfort. We believe that your trip doesn't just start once you arrive at the airport. For us, it starts the very moment our experienced driver greets you and collects your luggage. We set the standards in care and attention that others struggle to keep up with. Travel in style while our highly experienced chauffeurs take care of all the details. You can be assured of punctuality, discretion, comfort and style in our latest model elite fleet of sedans and luxury people movers. If travelling for business or pleasure in Crete, contact with us for a first-class chauffeured transport service. We appreciate that there are other companies who provide a similar service. However, once you have experienced the level of comfort and service that our business provides, the differences become clear. Make your reservation and get a discount. Contact with us. You can check our prices for the most frequent routes at the end of the page. Choose the archaeological site you wish to visit and let us arrange the guiding services. Make an appointment and meet your driver-travel guide at the site for a tour. Choose the pace, take your time and explore the beauties of Crete. 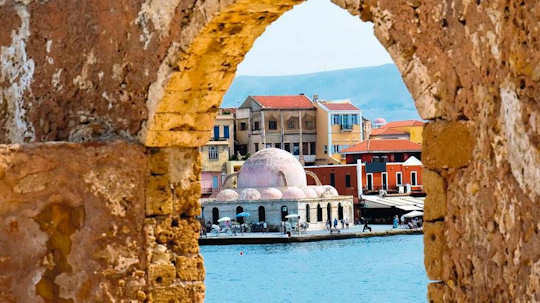 If you are interested for a more complete and fulfilling experience on the beautiful island of Crete then choose an excursion that meets your expectations. Send us a request of the sites you wish to visit and we can plan an excursion for you and your friends. Make your arrangements before your arrival for your VIP tour on Crete and let us handle all the details. We can arrange a chauffeur with luxurious limousines to drive you around with the style that you deserve. 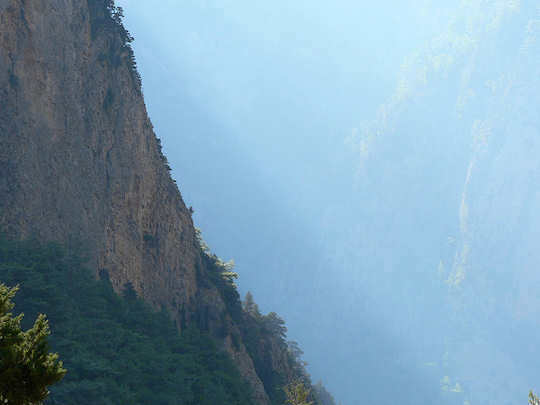 Have a personal travel guide to show you the hidden beauties of Crete". 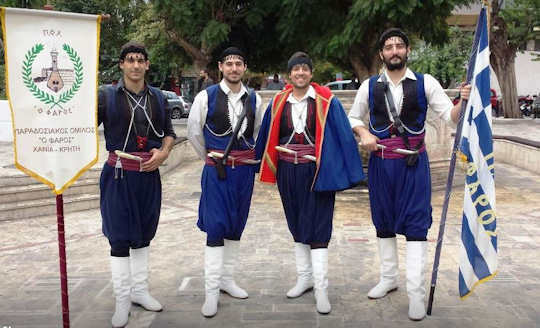 No, this is not how they will pick you up...this is Giannis in the dance group in traditional Cretan folk dress...did we mention he loves Crete? Giannis and Dimitris are two talented local brothers who speak Greek, English and Spanish. 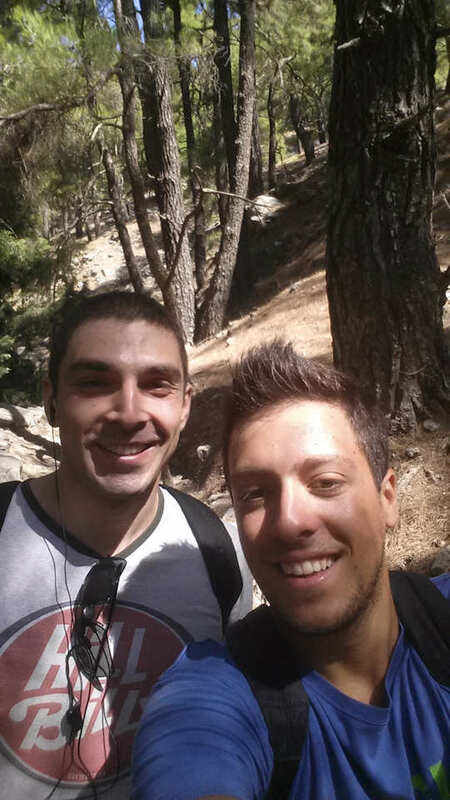 "Yiasas, our names are Giannis and Dimitris, we are brothers and we are from Chania, Crete. We have been working on taxi transfers for the last few years and we provide high quality services. 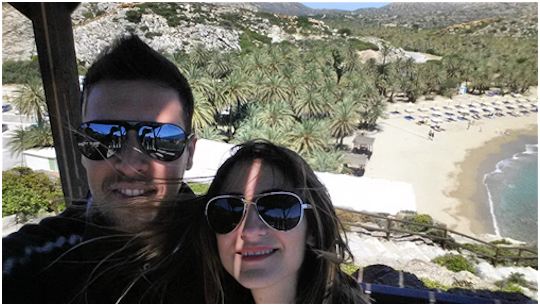 I'm Giannis and I'm 28 years old, I studied physics, also I have a Master's Degree in Environmental Engineering. My brother Dimitris is 27 years old and he is studying business planning and electronic systems. We speak English and Spanish. We both love this island and we are working on our family business. It is a big pleasure for us to work close to our home and on this beautiful island. We can make transfers from Chania and Heraklion airport to your hotel and return. Also, can we organise tours. We are guides for you, the visitor, who wants to see some beautiful places or historical and ancient places. With our Crete taxis and transfer service we can drive you to the places that you choose, and at the same time we can explain and inform you about the history and the importance of that place for the Cretans. For the Greeks, Crete is a diamond in Greece. It is a very unique place and very different place from the rest of Greece. The tradition here is very strong and Cretans are very careful with that. The culture, the food, the tradition, some historical places and the most important, the people, are remaining unchanged over time. At the same time, tourism is a part of Cretan's life that makes them to be more open minded and it makes us very happy because we share our traditions and the beauties of this island with people from all over the world. For that reason, Cretans love to provide their services and of course, the quality of them are very high. The island is big. You need about 6 hours driving to go from the west coast to the east coast. So, it is very difficult to explore the entire island in a few days. There is a way to visit some beautiful places and combine every place with one overnight stay. With this way you can visit many places in few days. There are many places that you can visit. If you want just to relax you can do it easily choosing one of the thousand beautiful, and high quality service, hotels that they are placed near the sea or inland. You can ask us about the most beautiful places that you can visit, but as I have noted before, every place is unique and it has its own beauty." Flights come directly from many cities in Europe, most begin in May and end in September, many more frequent services are to be found in peak summer season, during July and August. Flights from Athens to either airport in Crete have a duration of 1 hour, and both Olympic and Aegean Airlines offer many services per day. In peak season you will also find flights into Sitia Airport JSH in the east of Crete.